Burdell Kathryn Armstrong Viglione, age 68, of Cambridge Springs, passed away suddenly in her home on Sunday, November 18, 2018. Born the daughter of the late Arthur Armstrong and Esther Giles Armstrong on September 26, 1950, in New Castle, PA, she was the devoted wife of Daniel Viglione, and the fourth of five siblings. Her gentleness of spirit, willingness to sacrifice for others and passionate devotion to Jesus Christ made her an amazing mother, wife, nana, aunt, sister and friend. After graduating from New Castle High School in 1968, Burdell earned her teaching degree from Edinboro University in 1972. She met her husband, and love of her life, Dan, while attending Edinboro University, and they married in 1973. 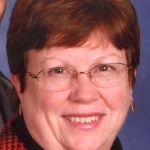 For years she served with joy at French Creek Valley Christian School where she taught second and third grade. Her kindness and dedication touched the lives of countless students and fellow teachers. Continuing her passion for teaching children about Jesus, Burdell served at her church, First Baptist Church of Cambridge Springs, by volunteering her time and talents with Kids Club. Her greatest joy was in being a wife, mother and nana. She attended soccer matches, dance recitals, pilgrim plays and countless other activities. She served “Nana’s Dinner” to the grandkids, and each of them brought her endless joy. She gave comfort with her snuggles, laughs with her songs, and taught them each to love Jesus with all of their hearts. Burdell is preceded in death by her parents, Arthur and Esther Armstrong. In addition to her husband, Daniel, she is survived by her daughter, Elizabeth Young and her husband, Robert and their children Raegan and Brookelyn of Fairview; daughter, Carolyn Cook and her husband, Cody and their children Dylan, Lennon, Kyla, and Brynley of Fairview; She is further survived by her sister, E. Ann Shira and her husband, Chuck; her brother, G. Robert Armstrong and his wife, Linda; her brother, A. David Armstrong and his wife, Katherine; her sister, Marilyn Campbell; her sister-in-law, Diana Baxter and her husband, Dennis; and her brother-in-law, David Viglione and his wife, Diane. 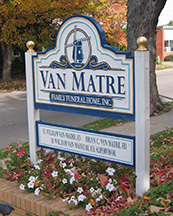 Friends may call at the Van Matre Funeral Home in Cambridge Springs on Friday, November 23, from 3-7 p.m. and are invited to a funeral service to be held there on Saturday, November 24, at 11:00 a.m. with Reverend Rod Beardsley officiating. Following interment at the Cambridge Springs Cemetery, a fellowship dinner will be held at the First Baptist Church in Cambridge Springs. In line with her legacy of loving children, Burdell was a passionate supporter of both World Vision and Samaritan’s Purse. In lieu of flowers, the family suggests memorial contributions be made to one or both of these organizations. We just heard about Burdell. We are so sorry for your great loss! She’s dancing in heaven! Burdell was my son’s 2nd grade teacher, she was such a joy! My son and I both have fond memories of 2nd grade! She welcomed me into the classroom to volunteer, I especially loved reading to the children. Burdell made a great impression on all who knew her. We are so sorry for your tremendous loss. May her legacy live on through each of her grandchildren as they share her love for God and life with others. Sending heartfelt condolences to all of the family. Cody , Carolyn & Family – so sorry for your loss. You will be in our thoughts and prayers.